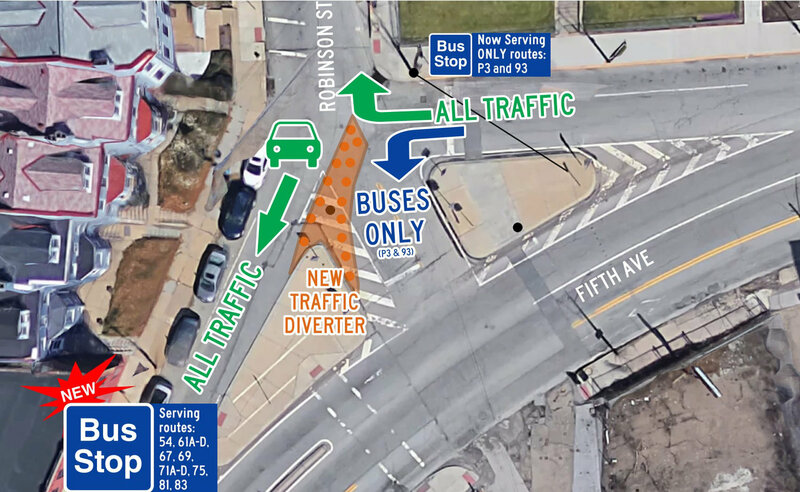 The City of Pittsburgh will soon install traffic diverters at the intersection of Robinson Street and Fifth Avenue to prevent vehicles from illegally turning from Robinson onto 376 West. 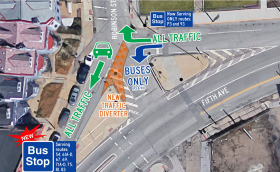 In addition, Gist & Miltenberger Streets, in Uptown, will be converted to One Way. For more details, click HERE to see presentation slides outlining the upcoming changes.